Bringing you the need-to-know in herbicide resistance with our fortnightly newsletter, AHRI insight. 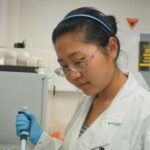 Encouraging more crop, less weeds sustainably through a wide range of research activities. Sometimes, words just aren’t enough. Check out our range of videos covering HWSC methods, resistance management, keynote presentations and more. Check our new podcasts, hosted by AHRI's Pete and Jess! Thank you to everyone who attended the 2018 Forum. The Australian Herbicide Resistance Initiative (AHRI) was a GRDC initiative which came about in 1998 under the guidance of Professor Stephen Powles. Last year AHRI celebrated 20 years of GRDC funding, operating as a research group out of the University of Western Australia. This video provides an overview of the beginnings of AHRI, the significant achievements it has had over the last two decades and the direction AHRI is headed into the future. We once thought that the genetics of eye colour was simple. Both parents have blue eyes, therefore, all of their children will have blue eyes. Easy peasy! Then science progressed and we realised that it isn’t actually that simple because several genes are involved. The genetics of herbicide resistance was simple. One parent is resistant to a herbicide, therefore, all of the offspring will be resistant because the gene is dominant or semi-dominant. This is true for almost all cases of herbicide resistance and was easy to understand. Until now. 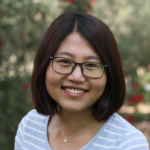 Click to read more about PhD student Jinyi Chen’s research. The increasing number of weedy species resistant to dinitroaniline herbicides warrants studies on the evolutionary factors contributing to resistance evolution, including genetic inheritance of resistance traits. In this study, the researchers investigated the genetic control of trifluralin resistance in a well-characterised Lolium rigidum Gaud. population from Western Australia. This population was purified to contain plants homozygous for the Val-202-Phe α-tubulin mutation, and used as the resistant (R) parents and crossed with susceptible (S) parents to produce eight reciprocal F1 families.